When Sportello – another Barbara Lynch venture – first opened in 2008, I observed a respectable 6 month period of “too hip and trendy for my taste” disdain, and then made a reservation. I had to back out when the friend I was going with took an unexpected business trip. A few months later I tried again, this time with my mother. While she’ll deny it vehemently, she decided she wanted pizza that night instead. The next reservation was supposed to be with a date. This one I cancelled myself, after a conversation when the words, “I don’t understand why people like bacon so much” left my prospective partner’s mouth. (Never waste a good meal on someone who doesn’t get it, and who is going to make fun of your food geekiness the whole time.) After that, I gave up- it just seemed like it wasn’t in the cards for me. A year went by and a lot of things changed, as things tend to do. Last Saturday, without knowing any of this back story, my boyfriend made a reservation and took me out to dinner at Sportello. It was worth the wait. The dining area in Sportello is small, and there are only two tables – the rest of the seating is around the two u-shaped bars facing the open kitchen. Some people love this setup, some hate it. I think it’s great if you are eating with just one other person, but could be a downer if you go with a group – too hard to talk to anyone aside from the person immediately next to you. And definitely don’t go with three people, the person in the middle will have to do that awkward leaning back manuever the entire time, so the other two can chat. Beyond the dining area is a small bakery counter with fresh bread and pastries, and a little retail space selling odds and ends (and Lynch’s Stir cookbook, or course). The wine list is nice, but they only use stemless glasses. I’ll admit I played into that trend and enjoyed it for a while, but I’m really over stemless – just give me a tumbler if you don’t want to use the real thing. Glassware aside, the atmosphere was fun and lively, and more casual than most of Lynch’s restaurants. We started with lamb tartare and gorgonzola fonduta. 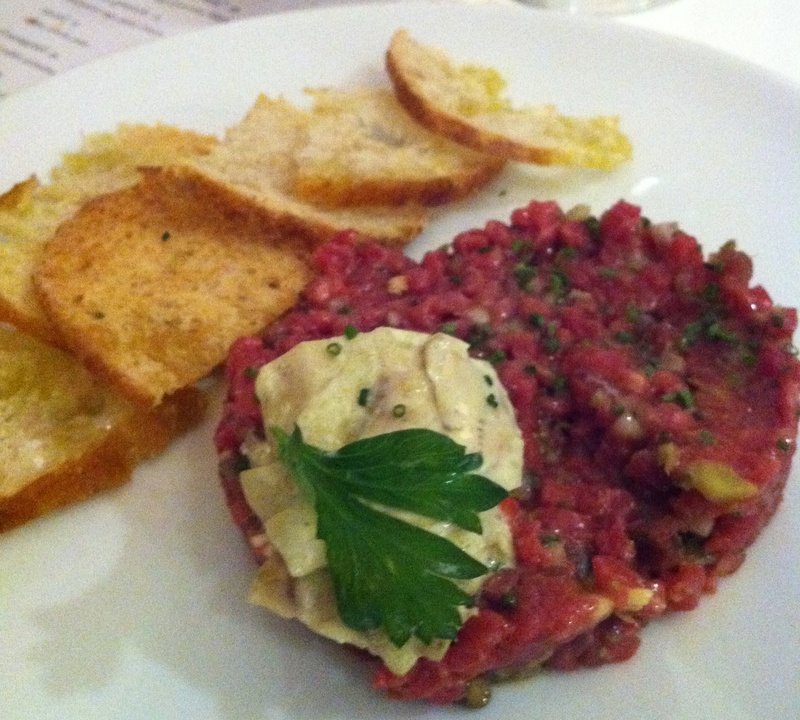 The tartare was smooth and clean tasting, with creamy artichokes on top. The fonduta had a strong flavor, as expected, but light texture. It came with salumi, roasted vegetables, crostini, and dates for dipping, and my unexpected favorite was the dates. Their sweetness cut the bitterness of the gorgonzola and their texture soaked up the viscous liquid. For entrees, we started with the Crescent Duck Breast. It was pink, tender and well-seasoned, and topped with perfectly cooked fennel. 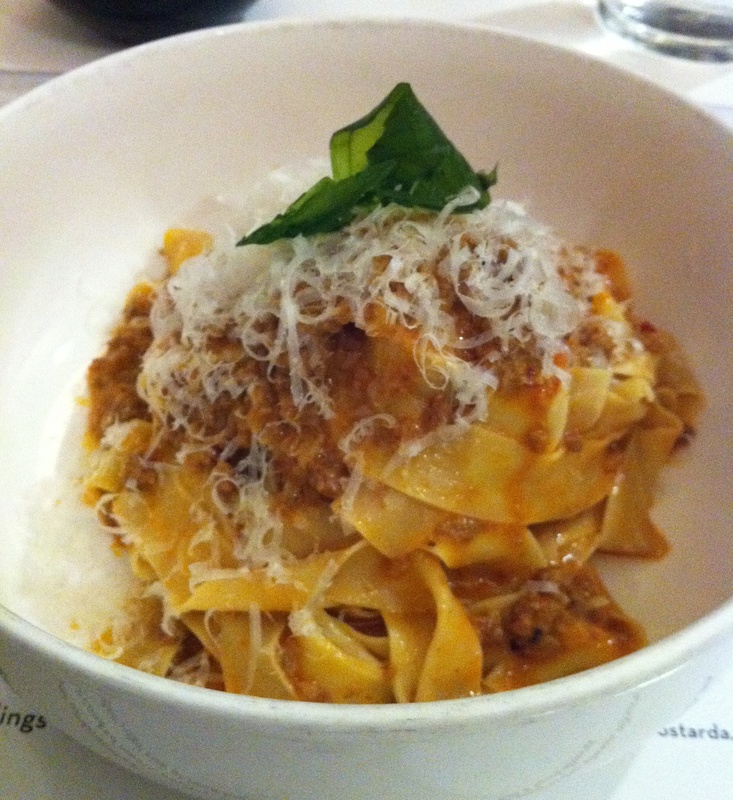 I couldn’t decide on the second dish, so I asked our waiter which he preferred – the Bigoli (pasta with tuna, capers, and chili) or the Bolognese. I hate it when restaurant staff are wishy-washy on recommendations – it makes me feel like they don’t eat the food where they work (uh oh), or that nothing is very good. At Sportello, our server gave such resounding accolades to the Tagliatelle Bolognese with Fried Basil that I may never order anything else. I know bolognese, and this was an outstanding example. The fresh noodles were the perfect texture, the sauce was velvety, and the flavor was layered and rich. 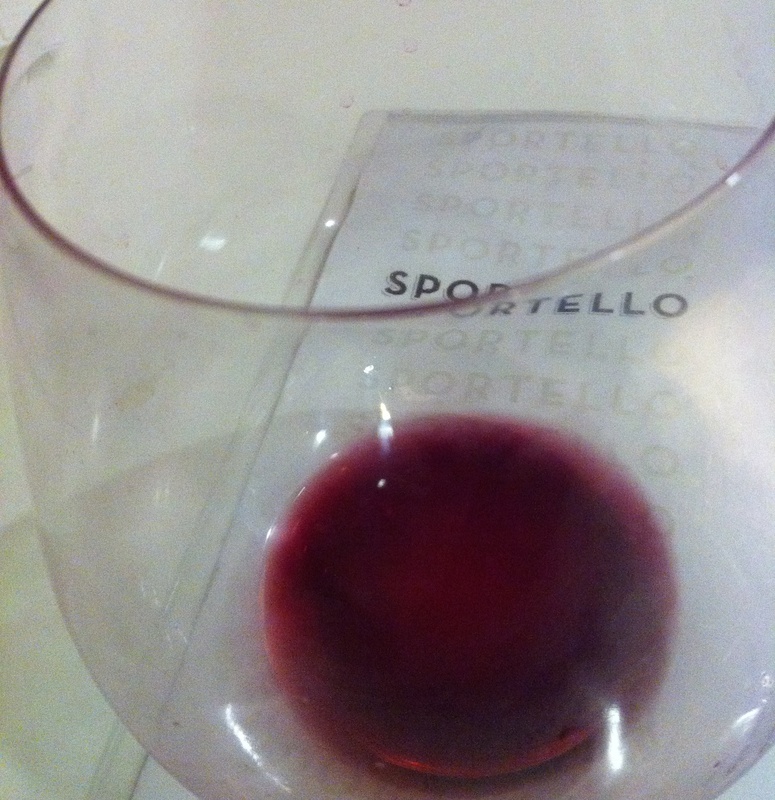 Sportello has all the hallmarks of yet another Barbara Lynch success – great service, great atmosphere, great food. It’s just her thing.